Nothing is more festive than indulging in your favorite seasonal desserts. 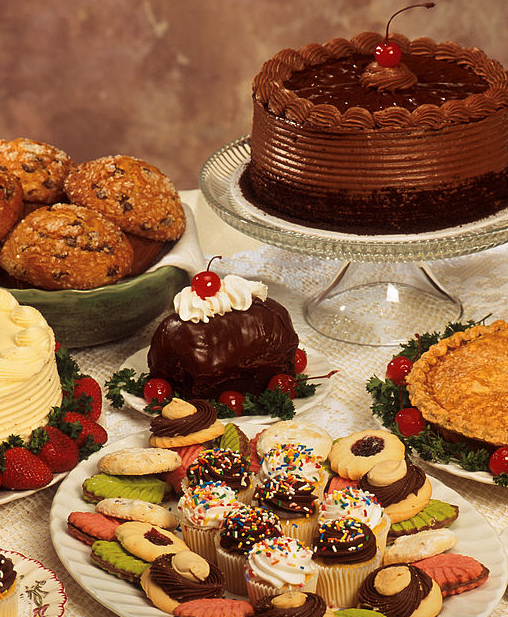 Add these treats to your holiday celebration to satisfy your sweet tooth. Melt milk chocolate chips in a microwave safe bowl in 30 second increments, stirring after each, until melted and smooth. Pour onto cookie sheet and spread flat. Sprinkle with chopped Oreos. Chill for 10 minutes. Melt white chocolate chips in a microwave safe bowl on 50% power in 30 second increments, stirring after each, until melted and smooth. Pour over Oreos and spread. Sprinkle with chopped candy canes. Chill until set. Break into pieces and serve! Line an 8 or 9-inch square pan with foil and spread butter over. In a 3-qt saucepan combine sugar, butter and eggnog. Bring to a rolling boil, stirring frequently. Boil 8-10 minutes over medium heat or until a candy thermometer reaches 234° F, stirring constantly to prevent scorching. Remove from heat. Using a wooden spoon, quickly stir in white chocolate and nutmeg until chocolate is melted and smooth. Stir in marshmallow crème and rum extract. Beat until well blended. Pour into prepared pan. Sprinkle with freshly ground nutmeg. Let stand at room temperature or refrigerate until cooled. Cut and serve! or knead in flour until blended. Shape dough into balls. Place egg whites in one shallow bowl. Place chopped nuts in another bowl. Dip each ball into egg whites. Roll in chopped nuts. Place cookie balls 2 inches apart on ungreased cookie sheet. Press thumb in center of each cookie to make indentation. Bake 10 to 14 minutes until cookies are set around edges. Remove cookies and cool. Place 1 teaspoon dulce de leche or caramel in the indentation of each cookie. In a small microwavable bowl, microwave chocolate chips uncovered on High 30 seconds; stir. Continue to microwave in 15 second increments until chocolate is melted and smooth. Drizzle chocolate mixture over cookies. Enjoy!